Named after the third Marquess of Ailsa, who owned the land on which it was built, this par-70, 7,211-yard championship course is one of golf's storied places. Home to four Open Championships, Ailsa has shaped some of the most remarkable moments in the tournament's history. Its first three holes pose a fairly tough opening, particularly when the wind blows from the direction of its namesake, the brooding isle of Ailsa Craig, 11 miles out to sea. From the 4th to the 11th, the coastal scenery is magnificent and the course is demanding. Commanding a passage of stout hitting throughout, the 5th to the 8th holes are framed by sandy hillocks, while the 9th, 10th and 11th are flanked by craggy rocks. On its stony ridge on the edge of the sea, the 9th hole is Turnberry's trademark. The landmark lighthouse casts shadows over the 13th century ruins of Bruce's Castle, the reputed birthplace of Scotland's hero king Robert the Bruce, and the narrow path to the tee and the drive across the corner of the bay fills players with trepidation. The 17th, named Lang Whang, is the only par 5 on the course. A short but challenging hole, its subtle contours slightly obstruct each shot-characteristic of the trickery of Turnberry. On the 18th, with the red-roofed hotel in sight to distract, gorse running down the right side and small dunes peeking up just enough to block your view of the landing zone, finding the fairway is even more difficult. 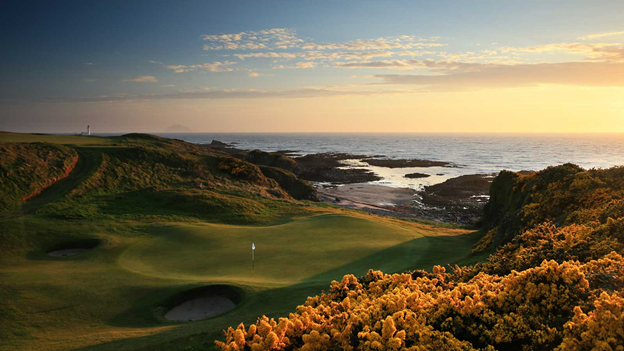 The par-72 Kintyre, called so after the long, narrow peninsula lying beyond the Isle of Arran in the Irish Sea, is another exhilarating championship course. Noted English architect Donald Steel has revised the old Arran course, originally constructed in 1909, into a 6,921-yard course that incorporates a set of turbulent swells in elevation. As it rises up from the 7th green, the sweeping panorama from the brow of Bain's Hill gives way to brilliant fairways and majestic ocean holes. These range from a delicate pitch in a rocky dell on the 8th to a thrilling second along the shoreline of the 9th. Earlier holes-like Leerie Licht, the short 3rd-may seem benign, but each brings its own trials. On this one, it's the play into the prevailing wind and the green that is just 23 yards deep. The 8th is Kintyre's signature hole, and it involves a drive from an elevated tee towards the sea and an unforgettable blind second shot. Utterly hidden by a narrow ridge, the green is set in a cove that seems to merge with the rugged beach beyond. On the 9th, an invigorating drive offers the choice between adventure and caution, and glimpses of two of Turnberry's charms: Ailsa Craig and the lighthouse. A climb up to the 10th puts players at the highest point of the course, and in the way of any weather in the vicinity. After the myriad tests posed by the back nine, to escape the closing hole and its 11 bunkers without using a sand wedge is an accomplishment in itself. 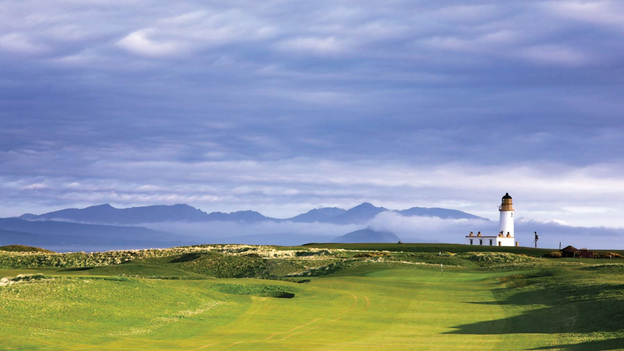 With characteristic undulating greens, tight tee shots, pot bunkers and thick, Scottish rough, the 9-hole par-31 Arran course-named for the largest island in the Firth of Clyde-is a fitting introduction to the challenge of links golf. With the same difficult elements as Ailsa and Kintyre, Arran was designed to acquaint golfers with the typical challenges of links golf. Turnberry's PGA professionals at the Turnberry Performance Academy, a world class teaching facility, offer golfers of all levels a range of specialised programmes including links golf technique. Against the backdrop of the timeless Turnberry Lighthouse, novices and advanced players alike can practice a full range of links techniques and shots on Arran's mix of par 3s and 4s. Trump Turnberry, a Luxury Collection Resort, Scotland is a place where land and sea are just waiting to be discovered. 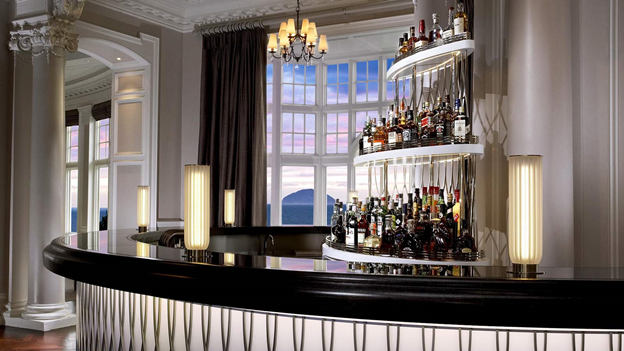 Trump Turnberry Resort offers a diverse choice of rooms, many of which offer similarly illuminating views over the famous links golf courses to the sea beyond. All guests of the resort enjoy access to the spa's facilities throughout their stay, 24 hour room-service and complimentary wireless internet access in all guest rooms and public areas. The luxuriously appointed Deluxe Ocean View Rooms are contemporary, spacious and capture the true spirit of Trump Turnberry Resort. Generous picture windows flood the room with natural light, offering evocative views over slate seas, mystical islands and the renowned green links. Discover all unique features with this interactive experience. 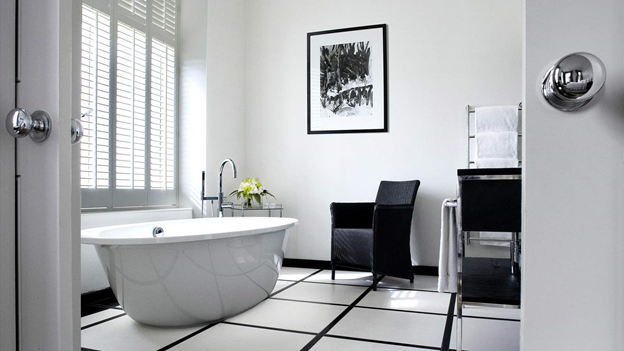 The Deluxe Rooms offer a perfect blend of Edwardian tradition and contemporary design. 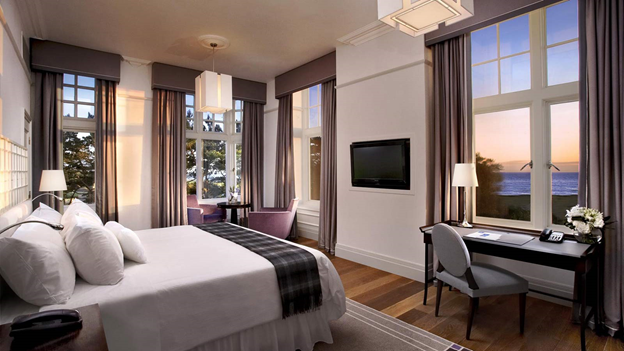 These spacious rooms feature luxurious beds, a comfortable seating area and a working desk with media hub. The Classic Ocean View Rooms, located above The Spa at Turnberry, offer breathtaking views over the famous links golf courses, the Irish Sea, the Ailsa Craig and Isle of Arran. These rooms are traditionally furnished and include modern touches such as complimentary Wi-Fi and flat screen TVs. Turnberry opened in 1906 as a grand Edwardian country house hotel. This sense of gracious hospitality is the hallmark of our Classic rooms. They are traditionally furnished with rich woods and fine fabrics, while modern touches such as complimentary Wi-Fi and flat screen TVs keep you in touch with today's world. Ideal for a family of four, the family rooms enjoys quiet views over the estate. Each family room offers a king bed and two children's beds with a TV in a private bedroom. Benefit from our Family package, where the second room for children is offered at 50% reduction of the adult room. 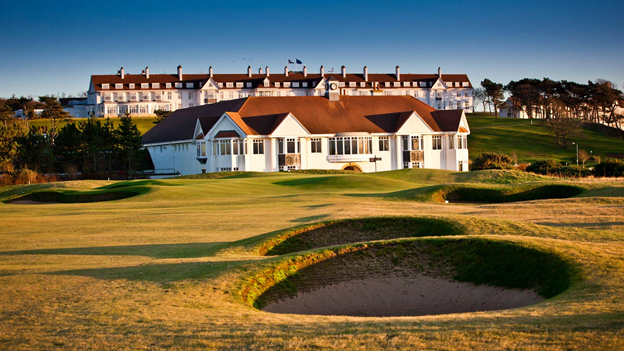 Named after the four winners of the Turnberry Opens: Watson, Norman, Price & Cink, the opulent Suites are generous in size and feature a king-size bedroom, large living room as well as spectacular ocean views. Each has a bespoke design with all the individual touches you might wish for. 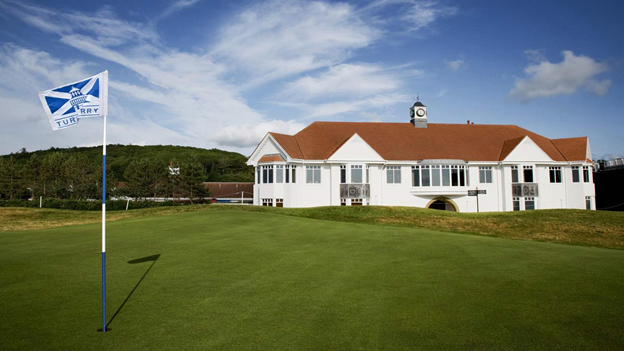 The Lodges at Turnberry consist of eight bedroom apartments a short chip from the matchless Ailsa and Kintyre courses. 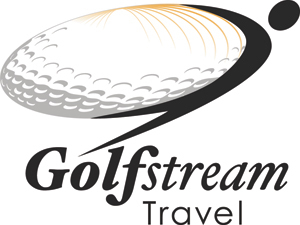 Perfect for exclusive use by families, groups of golfers or for business meetings and corporate entertaining. Heat experiences and relaxation rooms provide the ultimate prelude to advanced, bespoke ESPA treatments offered in luxury by The Spa at Turnberry. In the heart of the Spa lies a 20 metre swimming pool with whirlpool and state of the art Technogym Fitness Studio. With treatments from The Spa at Turnberry based on a holistic philosophy aimed at harmonizing mind and body, the spa offers a comprehensive selection of body wraps, body scrubs and massages, including Hot Stone therapy, hydrotherapy, reflexology and aromatherapy. We are proud to introduce the innovative ishga range of organic scottish seaweed skincareproducts to the spa at turnberry! ishga harnesses the anti-aging properties of the finest hand-picked seaweed from The Scottish Hebrides to create an organic skincare range that can revitalise, repair and moisturise the skin. Perfect as a treat for yourself, or as a gift to someone special, spending a day or half a day at The Spa at Turnberry is the ultimate way to emerge with a sense of positive well-being. A professional instructor will develop a bespoke workout designed to motivate and challenge. A lifestyle programme including a fitness evaluation and training focusing on health goals, supporting weight loss or enhanced body image. Spa membership provides unlimited access to the facilities of The Spa at Turnberry, which has a fully-equipped fitness studio, a 20 metre swimming pool, relaxation areas, saunas and steam rooms. A range of memberships are available to suit your lifestyle. This Girvan hotel has its very own private beach. In addition to a full-service spa, Trump Turnberry, a Luxury Collection Resort, Scotland features a golf course and an indoor pool. The hotel offers a coffee shop/café. Guests can unwind with a drink at one of hotel's 2 bars/lounges. A complimentary breakfast is offered each morning. Public areas are equipped with complimentary high-speed wireless Internet access. A golf course and a health club are featured at the hotel. An indoor pool and a spa tub are on site. Other recreational amenities include a sauna and a steam room. The 149 luxuriously appointed guest rooms include four lavish ocean-view suites and offer a perfect blend of Edwardian tradition and timeless design. Turnberry is the perfect setting for food lovers, with a choice of unique dining experiences, including the signature restaurant 1906, led by Executive Head Chef Munur Kara, which offers classic dishes with a modern twist and a unique Chef's Table experience. 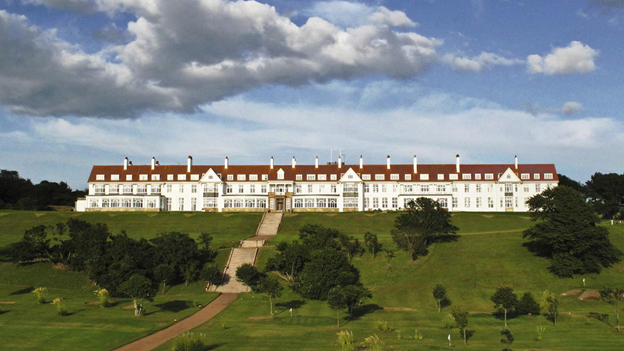 There is also the elegant Grand Tea Lounge, Ailsa Bar & Lounge and Tappie Toorie restaurant overlooking the links golf courses and sea beyond. Turnberry has a well-established reputation for top class meeting and events facilities, specialising in bespoke boardroom experiences. There is also a luxurious spa offering a range of ESPA treatments. The exhilarating outdoor activities at Turnberry Adventures including quad safari, water zorbing, GPS treasure hunts, horse-riding and off-road driving. Given a setting where rich land meets powerful ocean, where the views take in rugged beaches and the mighty Ailsa Craig, it would seem churlish not to make the most of it. Fortunately, with 800 acres of stunning Scottish countryside, Trump Turnberry Resort offers a huge range of sporting and leisure activities that makes it very easy to enjoy this wonderful part of the world both for couples and families with children. For our youngest of guests, The Wee Explorers offers playroom packed full of toys and games to stimulate and feed imaginations. Alternatively, the little ones may enjoy daily splash times in the pool or woodland walks around the estate. 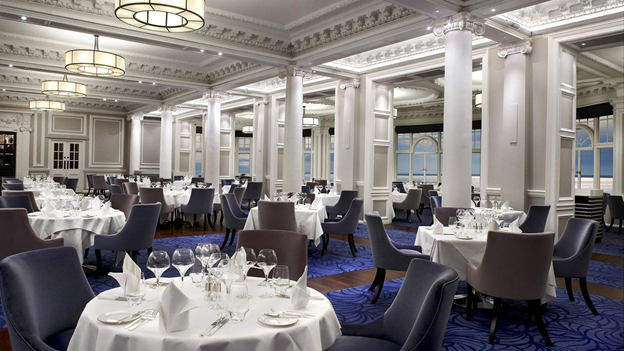 At Trump Turnberry Resort, the dining is as spectacular as the setting. Our restaurants and lounges reflect an extraordinary, distinctive personality. 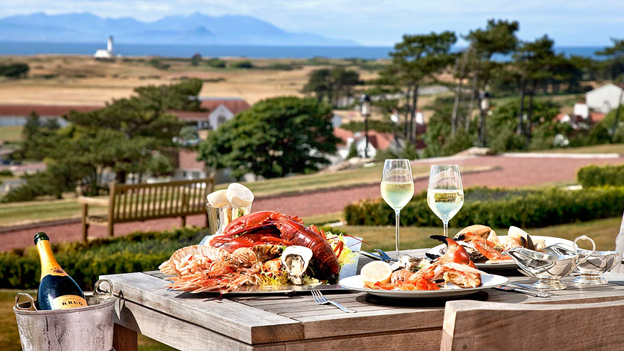 Inspired by the land, river and sea that surround it, the restaurants within the resort present classical dishes created using the finest local ingredients, including an innovative menu featuring bite-size Scottish cuisine made for sharing. As you drive around you'll see the richness of the farmland that gave the world Ayrshire potatoes and bacon and sweet Dunlop cheese, and inspired the author of Address to a Haggis. All great culinary inspiration, but of course you don't have to lift a finger if you take advantage of the great variety of restaurants and pubs on your doorstep. 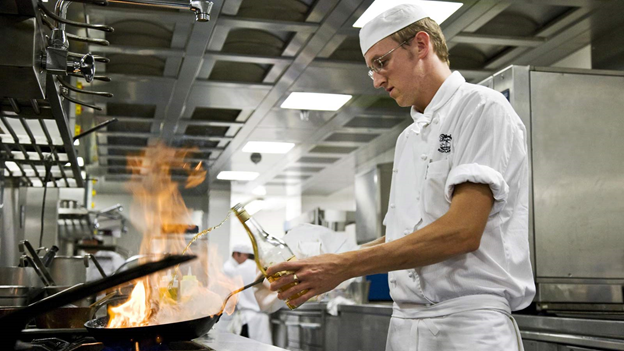 For special occasions little can match fine dining at Turnberry Hotel itself. The deliciously retro 1906 restaurant features dishes inspired by Escoffier and complemented by a fabulous wine cellar. Enjoy the glorious sea views while you dine or try the new Chef's Table for the ultimate private dining experience. The Grand Tea Lounge is perfect for afternoon tea with finger sandwiches and pastries - or perhaps a leisurely glass of champagne.The magnificent Ailsa Bar & Lounge serves delicious gastropub food and mini dishes. Trump Turnberry, a Luxury Collection Resort, Scotland is located on the stunning Ayrshire coast, offering elevated views over the Irish Sea, Ailsa Craig and mountains of Arran and Kintyre. First opened in 1906 as the world's first golf resort, the Turnberry hotel quickly established itself as the premier destination for social and sporting events. The five red star resort underwent a multi-million pound renovation program prior to hosting the 2009 Open on its legendary Ailsa golf course and becoming part of Starwood Hotels & Resorts much acclaimed Luxury Collection.